I have spent an obscene amount of time trying to make a good pie crust. I exhausted any resources I could find. Reading and watching as many instructions as Google would give me. Nothing worked. Nothing helped. Each time I tried, I would produce tough, chewy, terrible pie crusts. I resolved myself to not try again until I had someone show me how to do it it. That person was my aunt. 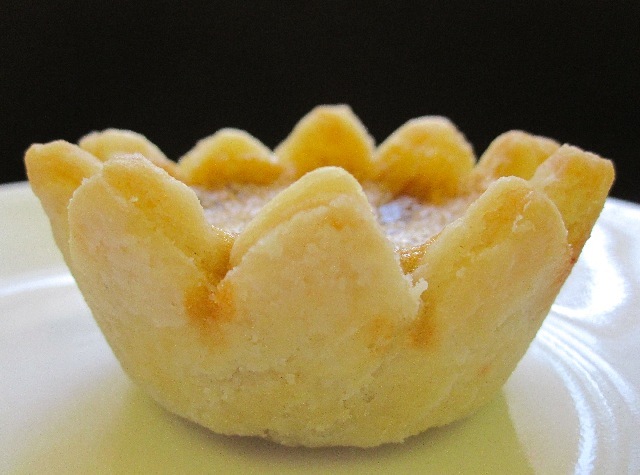 My aunt's butter tarts are pretty legendary in my family (passed down from her mother) and if there was anyone that could teach me how to make a proper pastry crust it was her. We had planned the lesson during my vacation, the Tuesday to be exact. I showed up at my aunt's place a little later than I had expected. Mostly because people in her area have no idea how to drive but also because I accidentally went to the wrong house. Disturbing an old man obviously not prepared for company as he answered the door in his bathrobe and underwear. After a quick call I walked into my aunt's house more than slightly embarrassed. This was the second time in a week I had given her reason to laugh at me (I mentioned previously how her son stole my clothes). After the laughter subsided and some pleasant conversation, my aunt treated me to a quick lunch and then made the mistake of mentioning she had taken cake decorating classes from Bronwen Webber. During the resulting geek out session my aunt passed along some advice that Bronwen (I can call her that now) had given her about cake: “If something goes wrong, hey it's just cake.” My aunt happily re-appropriated the advice for the task ahead “hey, it's just pastry.” Now to say this is all well and good (I've heard similar things many times before) but to witness it first hand was something different. 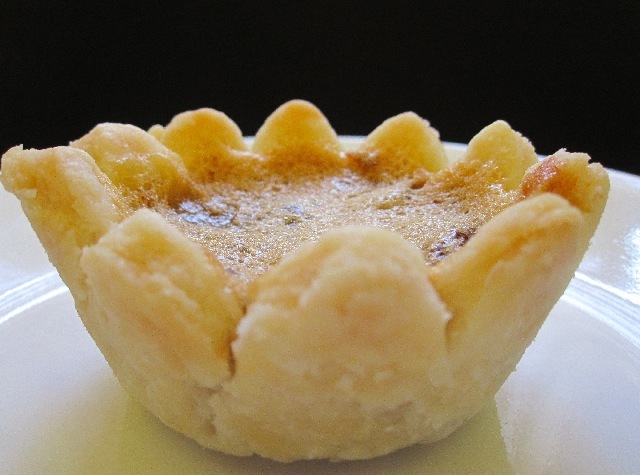 The recipe my aunt uses for her pastry crust can be found on a package of Tenderflake lard. The reason for this, she explained, is that her mother had used a very similar recipe where the only real difference was proportion. When Tenderflake was introduced, it became a simple matter for her mother to use the Tenderflake ratios and the entire pound of lard. However, there are two things to mention about this recipe. First, the measurements are Canadian (1cup = 250mL); and second, when I measured how much flour my aunt was using it ended up being 160g per cup. Much larger than my 130g standard. This could make a significant difference in how much liquid you use and the amount of dough you end up with. So be careful to only add enough liquid to bring the dough together. This maybe a little less or even a little more. So with all that being said, let me explain to you exactly how my aunt makes pastry crust. Begin by taking all those rules that I (and perhaps you) spent countless hours reading and throw them out the window; then proceed to do the opposite. My aunt begins with room temperature lard, room temperature flour, and cold water from the tap. About the only thing she said that was the same was to handle the dough only as much as necessary (don't overwork it). Oh and this is key: don't worry so much :). Take as long as you need to bring it together and take as long as you need to roll it out. My aunt quite literally took her time doing everything. Willy nilly. Doing it the way her mother had taught her. And you know what, it totally worked :). Yields 6 9-inch pie crusts -- 1 pie crust will make approximately 12 butter tarts. 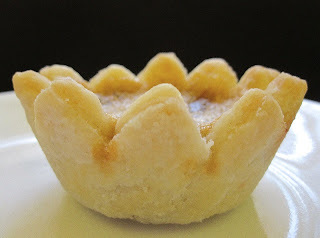 Unless you like thicker crusts as my aunt does, then you will likely need 1 1/2 to 2 per dozen tarts. 5 1/2 cups of all-purpose flour (880g) – if you use an American measure and you fluff your flour, and spoon into your cup, this would be closer to 6 3/4 cups @ 130g each. But everyone should go buy a scale :). Slice half the lard into slices of 1/2 inch width and add to flour. Cut Tenderflake into flour with pastry blender or two knives until all the lard has been broken up into small pieces (don't worry so much about the size). Slice remaining half of lard and cut into flour until only small pieces remain -- you can use your hand to break up any large pieces, basically you don't want anything larger than the size of a pea. But don't worry if you don't get them all :). In a 1 cup measure (250ml) combine vinegar and egg. Add water to make 1 cup (250ml). Dump dough out onto counter and gather into a ball, slightly kneading in any remaining flour not yet incorporated. There should be no more loose flour when you're done. If it seems impossible to bring it all together, add another tablespoon of water. Once dough has been gathered into a ball wrap in plastic wrap and allow to rest in fridge for an hour before using. Divide dough into 6 equal portions. Wrap and refrigerate or freeze unused portions. Laugh at the fact that it was so easy because you just didn't care :). I love pie crusts...they make or break pies for me. 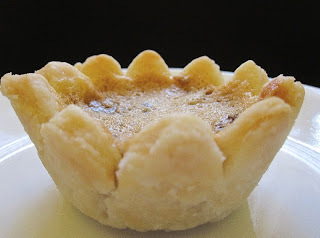 I just don't make them because I stink at it...My mouth is watering thinking about butter tarts! Can't wait to make this pie crust as sounds perfect. Thanks for the recipe.